As much as I love pasta sometimes I think I am more of a rice kinda girl. Yellow rice, risotto, rice pudding. Mmmm! My love of rice is so great that I even wrote an article about it for meal planning/recipe site Food on the Table. 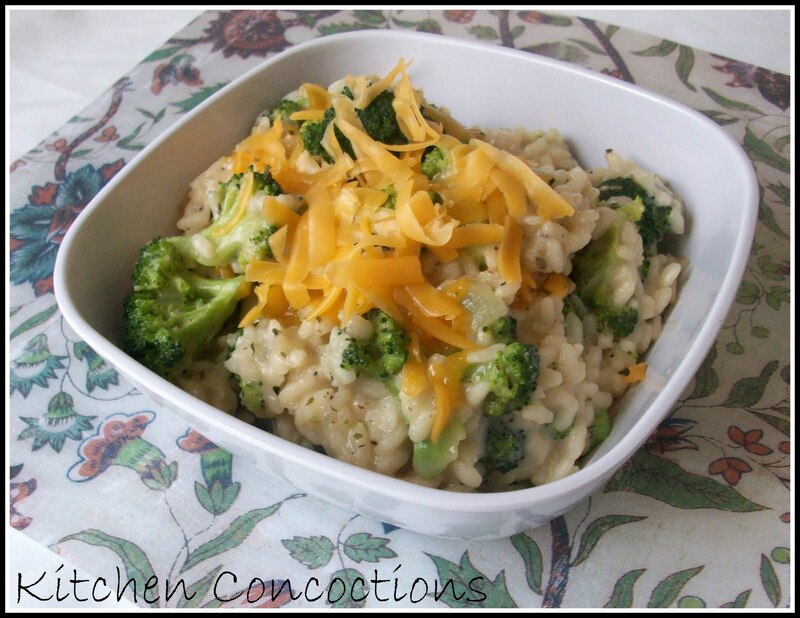 I even included a recipe for an o-so creamy risotto! Rice is an ancient grain that has been eaten for thousands of years. Today rice is a staple for half of the world’s population because it is healthy, versatile, affordable and easy to prepare. Rice is sodium and cholesterol free and only has a trace amount of fat. It is a nutrient dense food, with over 15 vitamins and minerals. Milled rice (white rice) will keep almost indefinitely if stored in an air tight container in a cool dark place. Whole grain rice has a shorter shelf life due to the oils in the bran layer. These varieties of rice are best stored in the refrigerator or freezer. When cooked, rice can be stored for up to six days in the refrigerator. With more than 40,000 varieties of rice grown world wide it might be a bit overwhelming as to what variety of rice to serve at your next meal. Below are some of the more common rice varieties found here in the United States. Wild Rice is a grain that grows wild in isolated lake and river bed areas primarily in North America. Wild rice requires more cooking time than other rice varieties and should be soaked for several hours before cooking. Once cooked, wild rice is slightly firm and chewy. It is great eaten by it’s self or in soups or casseroles. Jasmine Rice is a long grain rice variety; and is known for being a fragrant or aromatic rice. It is named after the sweet smelling jasmine flower. Because of its unique flavor, aroma and white silky texture it naturally enhances the spices and flavors traditionally found in oriental cooking. Basmati Rice is a long grain rice with a distinct nutty flavor and firmer texture. This flavor and aromatic scent is caused by the aging of Basmati rice. It is common in Indian cooking, as it pares well with curries. Arborio Rice is a short-grained Italian rice and is classily found in the preparation of risotto. Arborio rice undergoes less of a milling process than other varieties of rice which causes it to have a high starch content. Cooking releases this starch giving it that traditional creamy risotto consistency. 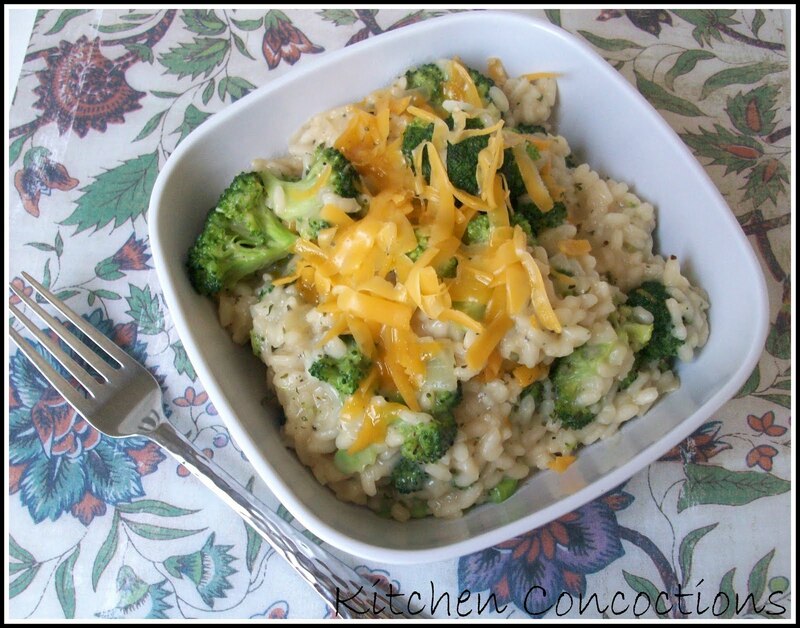 Now that you know more about rice try this creamy Three Cheese Broccoli Risotto! Heat chicken stock in a small pot and keep on low heat. In a medium size heavy sauce pan heat oil over medium heat, Add onion and cook for 2 minutes. Add garlic and cook for 1 to 2 minutes more. Add broccoli and season with salt and pepper. Cook for 1 minute. Add 1/2 cup of the chicken stock and let the broccoli cook for an additional 4 minutes. Set aside. Melt butter in the pan on medium-low heat. Add rice stirring until well coated and translucent, about 2 minutes. Add wine, season with salt and pepper and mix well until wine is absorbed into the rice. Ladle 1 cup of stock into rice and mix until all stock is absorbed. Add another ladle of stock and continue adding and stirring until all broth is absorbed, about 20-25 minutes. Stir in broccoli, cheeses and parsley, mix well and serve. Top with additional cheese if desired. Oooh, this looks so good! Nice and creamy! This looks perfect for a cold evening! Thanks for sharing.